The Tucson Housing Market January 2019 report shows increases in the average sales price, median price and list price. After a choppy 2018 market, January has come out of the gate in solid form. Will the year see a return to our 2007 peaks? We will have to wait and see. The Tucson Housing Market January 2019 report shows the average sales price INCREASED 3.05% to $258,910. And January 2019 was UP 3.05% from December 2018. The new year is off to a good start. Stay tuned to see how the year progresses. 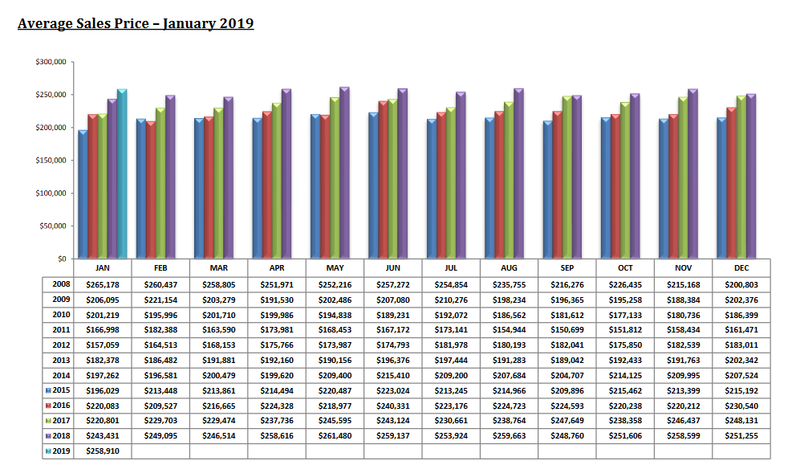 The January 2019 average sales price stands at 88.2% of the June 2007 peak average sales price of $293,443. 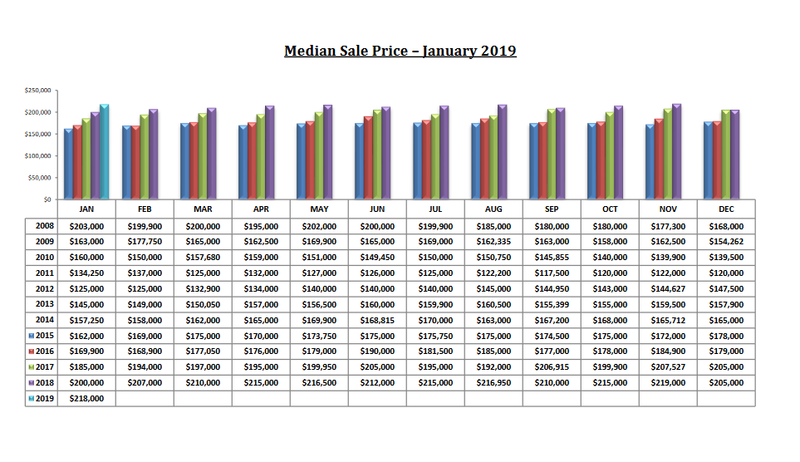 The Median Sales Price for a Tucson home INCREASED 6.34% from December 2018to $218,000. The Median Sales Price of a Tucson home now stands at 96.9% of the June 2007 peak median sales price of $225,000. Will we get back to the 2007 peak? We will have to wait to see what 2019 has in store. 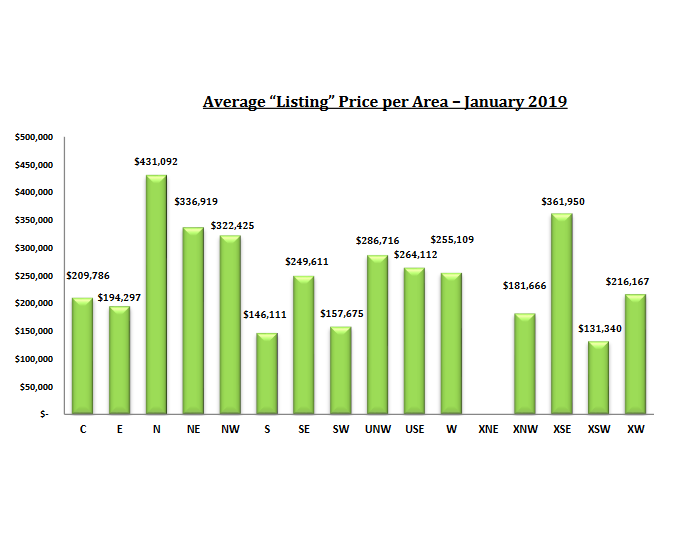 The Tucson Housing Market January 2019 report shows Tucson’s Average List Price of a home INCREASED 3.24% from December 2018. At an Average List Price or $264,916. That’s up 5.98% from January 2018. January Active Listings INCREASED 2.21% to 3,283. 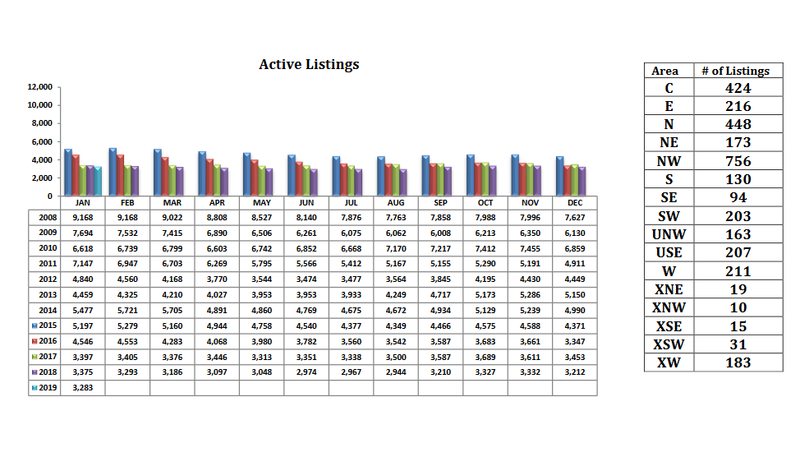 Active Listings continue below 4,000. Year over Year active listings ARE DOWN 2.73%. 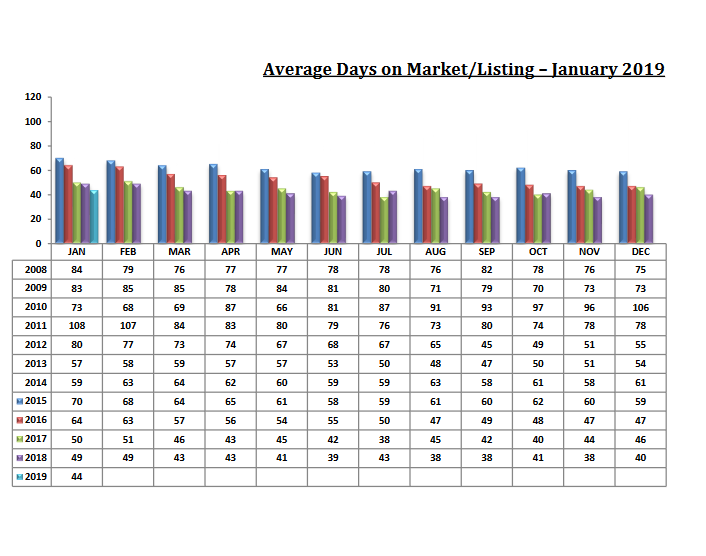 Days On Market INCREASED to 44 days in January. This continues the run of days on market under 45 days. The continued flow of baby boomers appears to be providing steady demand. Perhaps the low number of active listings and return of the “snowbirds” will combine to give continued upward momentum to home prices. The low active listing inventory is one reason the new home builders are going strong. May builders are increasing their build time to 8 to 10 months. Mortgage rates have are back under 4.5% for a 30-year conventional loan. Current rates remain lower than year over year appreciation in home values. Tucson has been identified as one of the Top 10 housing markets for 2017 and 2018. December’s data appears to be confirming Tucson is a top pick for cities to live in.